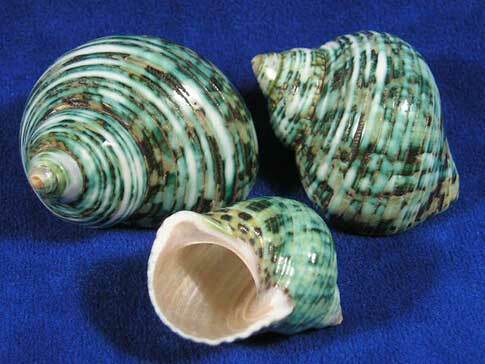 Polished green turbo shells are thick and durable. The outer layer has been polished but the green coloring is completely natural. Brown colors mix with the green and white color is seen in bands. The polishing process makes them shiny. They're also known as turban seashells.